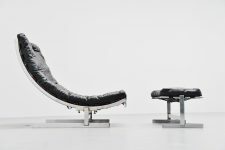 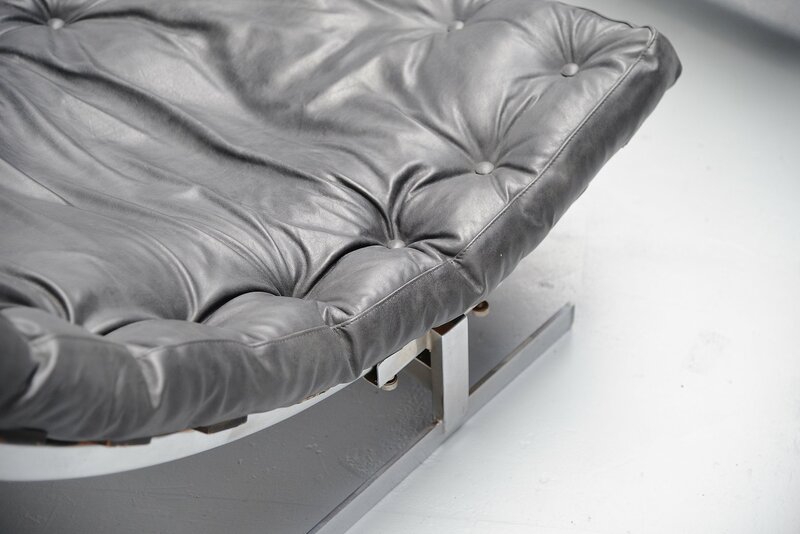 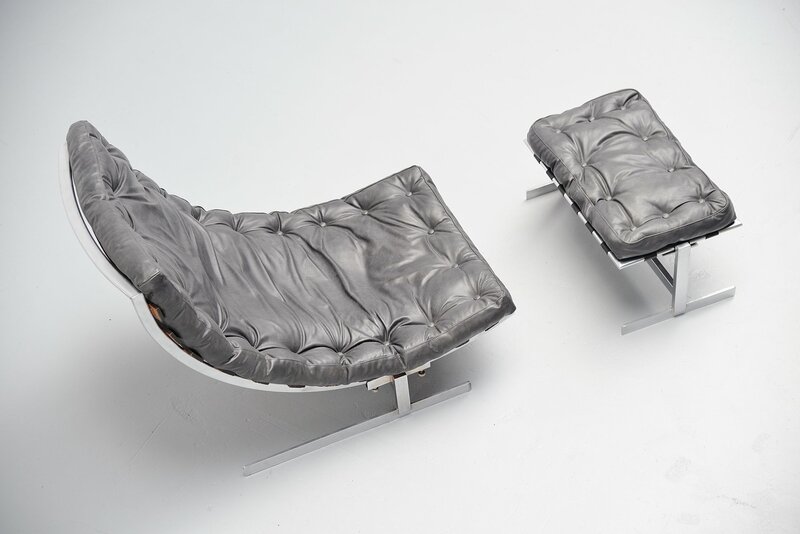 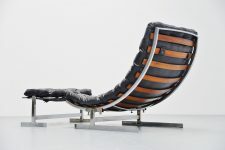 Extraordinary large adjustable lounge chair made by Belgian architect (still in research) Belgium 1970. 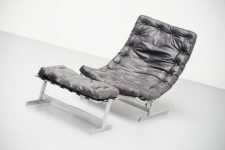 This chair has a matt chrome plated tubular and solid steel frame. 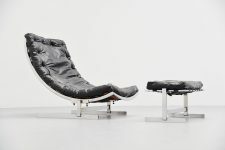 The chair is adjustable in height for different lounge positions and its upholstered with a black leather cushion with buttons. 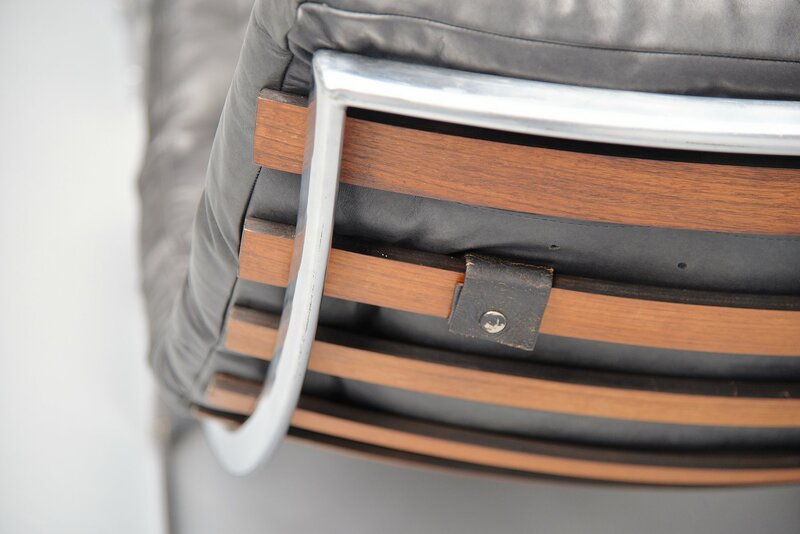 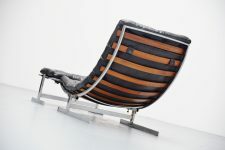 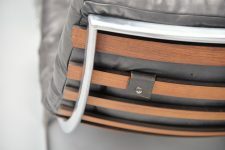 The chair has a very nice teak plywood spine back that is great in contrast with the metal and black leather. Super large and comfortable lounge chair. In the manner of Milo Baughmann and Carlo Hauner & Martin Eisler.